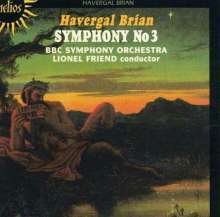 Der Artikel Havergal Brian (1876-1972): Symphonie Nr.3 wurde in den Warenkorb gelegt. 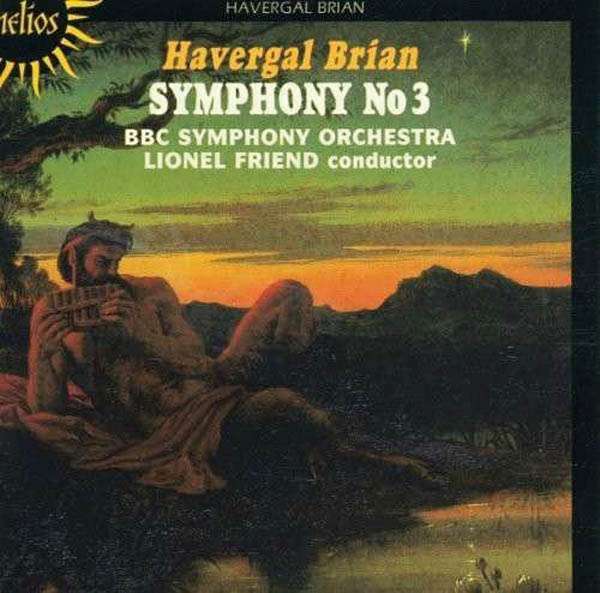 Havergal Brian never heard his third symphony—which at the time of composition he described to Bantock as ‘the best of the symphonies I have written’. 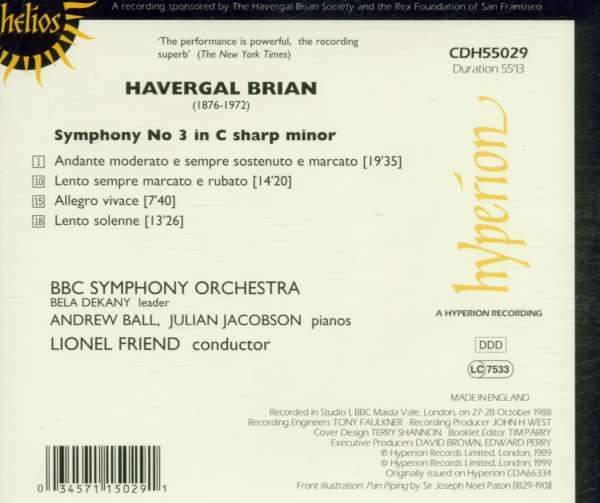 It was first played in a BBC studio in January 1974—just over a year after Brian’s death—by the New Philharmonia Orchestra under Stanley Pope, with Ronald Stevenson and David Wilde playing the important piano parts. It was first given in public by the Symphony Orchestra of Composers Platform, West Midlands, conducted by Paul Venn, in Birmingham Town Hall on 17 May 1987. The present recording was made at the BBC’s Maida Vale Studio 1 on 27 / 28 October 1988, immediately following a public performance before an invited audience. Guter Einstieg in die komplexe sinfonische Welt von Brian. Hochinteressanter Komponist, der eine Vielzahl (32) an Sinfonien komponierte.